How Could Wedding Size Make a Difference? In our recent report for the National Marriage Project (Before “I Do”: What do Premarital Experiences have to do with Marital Quality Among Today’s Young Adults? ), we focused on how relationship history before marriage relates to marital quality. We examined the history of relationships that came before the relationship with the eventual spouse and premarital experiences with the eventual spouse. For example, having more sexual partners, having cohabited with partners other than the spouse, or having children from prior relationships were all associated, on average, with lower marital quality later on. Further, those who had child with their eventual spouse before marriage, reported that their relationship began by hooking up, or who said they slid into living with their eventual spouse (if they cohabited premaritally at all), also reported lower marital quality. Wedding Guests: Does the Number Matter? In the Before I Do report, we presented an analysis that was, to our knowledge, totally new in this field. In our national, longitudinal sample, we had asked those who got married how many people attended their wedding. We didn’t ask this on a lark. We asked because of a strong theory for why those having more attendees at their weddings might have an edge in marriage. Here’s some of what we said about this finding in our report. This section describes the strong theory that may explain, at least in part, the association between wedding attendance and marital quality. We try to keep our present attitudes and behaviors in line with our past conduct. The desire for consistency is likely enhanced by public expressions of intention. Social scientist Paul Rosenblatt applied this idea specifically to marriage (Rosenblatt, 1977). He theorized that, early in a marriage, marital stability and commitment would be positively associated with the ceremonial effort and public nature of a couple’s wedding. Rosenblatt specifically suggested that holding a big wedding with many witnesses would lead to a stronger desire—or even need—to follow through on the commitment. Our findings suggest that he may have been right. Nevertheless, it is also important to keep in mind that because these questions about weddings have received so little attention in prior studies and because only a small percentage of respondents reported not having a wedding, these findings should be tested in other samples. This is why we asked the question in the first place. Despite the strength of this idea (and its overlap with clear findings in the study of cognitive dissonance), one of the best alternative explanations was that the cost of a wedding might better explain marital outcomes than the number of guests. After all, couples with more economic resources tend to have many advantages in life and marriage. But we did not have the cost of the wedding in our national data set, so we could not analyze it. 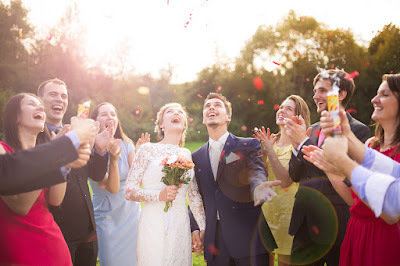 Thanks to a social psychologist Samantha Joel, who is, like us, is interested in relationship decision making, we came across a study that looks at the number of guests people had at their wedding but also other variables such as the cost of weddings. Economists Andrew Francis and Hugo Mialon of Emory University examined how expenses related to getting married (the cost of weddings and engagement rings) and a host of other variables—including the number of guests—were associated with the likelihood of divorce. They examined a different outcome than we did, divorce not marital quality, but you can see the overlap. Some of what Francis and Mialon found is complex. Overall, while controlling for a host of variables, they found that spending more money on rings and weddings was not associated with more stable marriages. In fact, those who spent the most on their weddings ($20,000 or more) were, on average, at greater risk for divorce. The economists speculate about why this could be, and they further examine factors such as the stress a large debt from an expensive wedding might place on a marriage. Here’s the part we zeroed in on. In a variety of analyses (some without controls and some with a large number of control variables—including wedding costs), Francis and Mialon found that higher wedding attendance was associated with lower odds of divorce. Although the findings related to costs of weddings and rings had shown complicated patterns, the pattern related to number of guests was always in the same direction and always clear. Within a few months’ time, the field has gone from no findings (that we know of) related to the wedding attendance to two reports showing consistent results. There are surely many possible explanations, including some we will to try to investigate further in the future, but this second study seems to rule out one explanation we were most concerned about when interpreting our own finding—the cost of the wedding. Some couples planning a life together do not want a wedding or may want one that is very modest with just close friends and family attending. Personal preferences matter a lot in all of this. Surely, what we are talking about here is just one small part of the overall puzzle of how a couple might build a life together. Many other things matter and matter more, but let’s say you are open to some tips on the size and scope of your wedding. Here are some thoughts. First, don’t break the bank when getting married. Many young adults have debts already, and may do more harm by taking on further debt with an expensive wedding. It is unfortunate that the image so many now have is of lavish, costly weddings. This wild expectation puts weddings out of reach for those with fewer means and adds greater burdens to parents, brides, and grooms for those with more. Second, it may be worth finding ways to prioritize the network of friends of family you have, and inviting them to be guests at your wedding. The benefits of having more witnesses at your wedding may come from both the psychological consequences of making a very public declaration of commitment (which should increase follow through) and from having more friends and family who see your relationship as something to rally around, root for, and support. Third, for couples who do not have a strong network of friends or family, think about how you might build one. We don’t mean trying to do this just in time for your wedding. We mean doing this over time for your marriage. When it’s possible (and we know it is not always realistic), building a friendship with another couple or getting involved in some community group together might be just the thing to start building a network of support and connection around your marriage. If you like the idea of a big, expensive wedding, can well afford it, and it won’t cause a lot of additional stress, sure. Knock yourself out. But the power of the thing is far more likely to lie in the connections and the commitment than in the lavishness of the spectacle. Building social capital trumps burning economic capital. Prioritize your social network, not the duck canapés. [i] We wrote a couple follow-up pieces on those subjects for those interested more in what social scientists argue about, here and here. The latter piece discussed particularly challenging issues about how social scientists approach and interpret their analyses. I have been reading Modern Romance by Aziz Ansari and Eric Klinenberg. 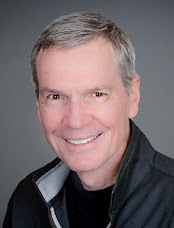 It is a fascinating read about how much things have changed from not even that many years ago to now, for people searching for a partner, a date, or a mate in this hyper connected era of a vast number of options. The book is insightful, often funny, and at times irreverent (quite). I wanted to call attention to one passage in particulate that I just read tonight. It follows a stream of thought on the work of Barry Schwartz (The Paradox of Choice) who has written lucidly about the dilemmas having so many choices presents for people in this modern era. I have long loved Schwartz's work, and this particular point below is one shared by Ansari and Klinenberg in their book. It is of surpassing brilliance. Let the thought wash over you for a bit. You see the brilliance here, don't you? If you are searching and you believe your goal is to find the perfect partner for you, you literally can never stop searching. You have to meet every possible choice there is—or how else are you ever going to know you stopped on the best option? And, in this day and age where you can search for anything and often find it just about any way you want it (such as through the internet and mega-stores), we are used to thinking we can find the perfect anything: a widget, a job, a restaurant, a plumber, or a partner who is just perfect, for you. The allure of it all suggests that perfect matching is possible. Schwartz' research shows that people who think this way are less likely to be happy with their eventual choices than those who think more in terms of finding a good match. Ansari and Klinenberg mention one study by Schwartz about people searching for jobs, where he finds that those with this belief, who likely do search more, end up being paid somewhat more but also end up being less happy with the job they land in. Sure, in marriage especially, one should seek a very good match. But you can also search for so long and so thoroughly that you pass up a great match or never settle down, or only settle down when very good options have passed you by and are already taken. Schwartz's point is that the very belief that you can find the perfect match at the end of a search sets you up to think there must always be something better--an option that you'd not seen or found yet--and that can make you less happy with what you eventually chose. Commitment is making a choice to give up other choices. That's the deal. But having a sense that you could have searched for and found perfection—if you'd only searched a little more—will make it harder to commit to, invest in, and be happy with who you married.